Eliza loves ice cream, glitter tattoos and riding her own bike on the Kiddie Scoop Loop. The River Valley Ice Cream Ride blends the best of summertime fun - bikes, gorgeous roads and ice cream. And, it supports Pioneer Valley organizations working to strengthen our communities, build our agricultural economy and enhance biking in the beautiful Pioneer Valley of Massachusetts! Whether you're a daily cyclist or only get your bike out a few times a year, this ride has options for you. It's a great event to share with the whole family or with cyclists of varying abilities. One route features a scenic off-road bike path option that young families can enjoy. We're thrilled to have Bart's Homemade as our ice cream partner for this event. Bart's has been making delicious ice cream right here in the Connecticut River Valley since 1976. The Bart's truck will be on site at Unity Park and we'll be scooping some of our favorite flavors at each rest stop. While some may disagree, a diet of only ice cream is not the best health choice. So, we've engaged local chefs to prepare a summer-fresh lunch using the best local ingredients from valley farms and producers. You'll find delicious, fresh-from-the-field foods from Red Fire Farm in Montague and Real Pickles, our locally-delicious dill pickles produced in Greenfield. You'll also find great local sounds emanating from Unity Park with FlavaEvolution, a truly unique jazz quartet. With just three horns and bass (no piano or drums) they are playing something altogether fresh in the Pioneer Valley, creating a sound that crosses a chamber string ensemble with modern jazz, 1970's soul, and beautiful balladry. And kids will love the face painters, glitter tattoo artists, balloon animals and other activities! This is truly a family celebration of cycling, summer and ice cream. Several riders stop by Northfield Creamie for their first ice cream stop of the day. Ride Your Bike, eat Ice Cream, do good! The River Valley Ice Cream Ride is produced to support a variety of organizations who are steadily enhancing life in the Pioneer Valley. River's Edge Cycling donates all profits from the ride to these and other non-profit organizations working to improving the character, economy and nature of our local communities. Riverculture is a partnership of leaders from the arts and business communities, committed to enhancing and promoting cultural programming in Montague, MA. Their work includes promoting cultural events, helping to create an attractive environment for business and residents, and developing work and living spaces that draws creative individuals to live, work, and create in this charming riverside community. CISA has been strengthening farms and building the local food economy since 1993. Their Be A Local Hero, Buy Locally Grown public awareness campaign is the longest-running and most comprehensive buy local program in the United States. Over 400 Pioneer Valley farms and related businesses benefit from the Local Hero marketing and educational efforts that build public demand for local farm products. CISA's important work helps strengthen the financial viability of hundreds of farms who produce locally-grown foods and protect the scenic working landscape that makes the Pioneer Valley such a beautiful place to visit and ride. 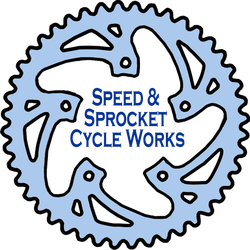 MassBike Pioneer Valley is the local chapter of the Massachusetts Bicycle Coalition. MassBike has been championing safe and accessible cycling in the Commonwealth for nearly 40 years. Throughout its four decades, MassBike has worked with communities across the Commonwealth to promote a bicycle-friendly environment and encourage bicycling for fun, fitness and transportation. Along the way, riders will gain some insights into the importance and value of local food production here in the Valley. And what local food is more fun than ice cream!? We'll visit Mt. Toby Farm in Sunderland and Upinngil Farm in Gill to meet some of the hard-working cows (and their farmers) and see some of the work that goes into producing local foods. Throughout the Single Scoop and Double Scoop Loops, riders will see how active, viable agriculture helps create and protect the landscape that makes the Pioneer Valley such a pleasant place to live, work and play. Join us in the charming community of Turners Falls, MA on Saturday, July 27, 2019 for this fun and delicious cycling event. We'll gather at the Town of Montague's scenic Unity Park along the banks of the Connecticut River. ** Must be accompanied by parent or guardian. Celebrate ice cream, biking and local foods with a River Valley Ice Cream Ride T-shirt. They come in Strawberry or Vanilla. Order on our River's Edge Store page.